After all the searching and seeking, it was God’s word that brought me to the centre, not empty but full. David story particularly touched my life, and so do these verses. When I read them I remember I’m not alone. They bring me peace. They call me. I pray they help you too. According to anxiety.com, in an anxiety-related disorder, your fear or worry does not go away and can get worse over time. It can influence your life to the extent that it can interfere with daily activities like school, work and/or relationships. Fear, stress, and anxiety are “normal feelings and experiences” but they are completely different than suffering from any of the seven diagnosable disorders plus substance-induced anxiety, obsessive-compulsive disorders, and trauma- or stressor-related disorders. There are several different anxiety-related disorders. Some symptoms overlap across many of these disorders, and others are more specific to a single disorder. 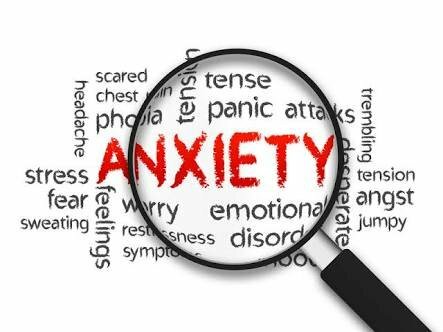 In general, however, all anxiety-related disorders feature worry, nervousness, or fear that is ongoing, excessive, and has negative effects on a person’s ability to function. Useful tips but the whole English is too much, when I can talk to the best and only therapist the world “Jesus”. But not all knowledge is lost. Let’s be careful in our daily lives and activities to avoid anxiety.